Nobel Laureate Craig Mello, a professor at the University of Massachusetts Medical School, in 2007. 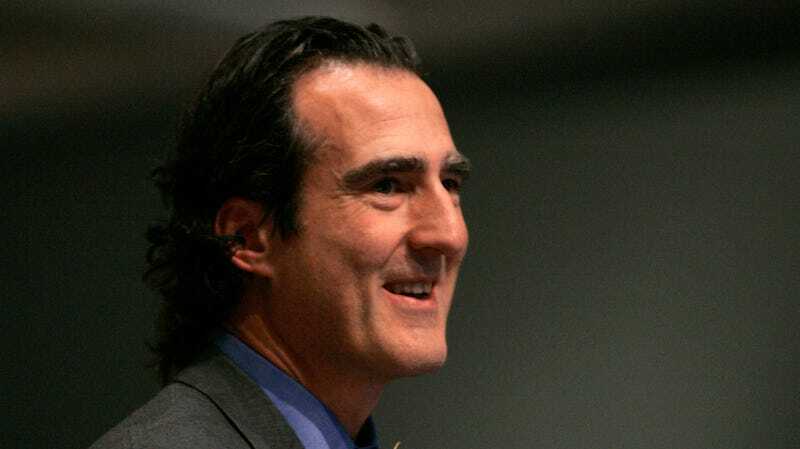 The Associated Press reports that Nobel laureate and biologist Craig Mello was aware of a pregnancy in China involving gene-edited babies for months before the news went public. That a prominent scientist knew of this highly unethical work but chose to remain silent is a serious cause for concern, and a sign that the culture around questionable research needs to change. As Candice Choi and Marilynn Marchione report for the AP, Mello served on the scientific advisory board of Direct Genomics, a company owned by geneticist He Jiankui, the researcher behind the controversial and possibly criminal gene-editing work. He, a scientist at the Southern University of Science and Technology in Shenzhen, emailed Mello in April 2018 telling him of the pregnancy. Mello responded by condemning the work, yet he stayed on as a science advisor for He’s company, which wasn’t involved in the experiment, for the next eight months, only resigning after the news of the gene-edited babies went public, according to the AP. Mello has not yet responded to a Gizmodo request for comment. During a human genome editing conference in Hong Kong this past November, He admitted to modifying the DNA of embryos with the CRISPR gene-editing tool, and then implanting them in their mother’s womb. Twin baby girls were born in early November with an apparent immunity to HIV/AIDS, a consequence of removing the CCR5 gene. A second pregnancy was also revealed by He at the conference. The research, though still unconfirmed, was heavily criticized due to the current premature state of gene-editing technology, because the research wasn’t deemed medically necessarily, and because the long-term effects of the modification are unknown, among many other concerns. As it stands, most countries, including China and the United States, allow researchers to modify the DNA of human embryos, but inducing a pregnancy with modified embryos is strictly verboten. A recently concluded investigation by Chinese authorities found that He, in addition to breaching this prohibition, broke laws in pursuit of “personal fame and gain,” such as forging ethics certificates and faking lab work. He was apprehended by security authorities and will be “severely dealt with,” according to Chinese state media. Good news! The women [sic] is pregnant, the genome editing success! The embryo with CCR5 gene edited was transplanted to the women 12 days ago, and today the pregnancy is confirmed! I’m glad for you, but I’d rather not be kept in the loop on this. I think this is not a true unmet medical need, and so do not support the use of CRISPR for this indication. You are risking the health of the child you are editing, and to my knowledge there is no significant risk of [HIV/AIDS] transmission to embryo with IVF. In fact the treatment itself is feeding fear about HIV and a stigma that is not based on any medical facts. I just don’t see why you are doing this. I wish your patient the best of luck for a healthy pregnancy. All this said, Mello did refer He to a colleague for advice on “pediatric HIV transmission risks for a therapy he is contemplating,” and Mello attended a Direct Genomics meeting in China about a week before the Hong Kong conference, the AP reports. This episode is obviously not good, and it highlights the obligations of scientists to speak out when evidence of unethical work emerges. In the AP article, University of Wisconsin bioethicist Alta Charo, who co-led the Hong Kong conference, is quoted as saying “it’s not clear” how someone like Mello “could have raised concerns” about He’s project. This is an absurd claim given that a simple tweet, for example, could’ve alerted the entire world, given Mello’s prominent position in the science community. But more formal and discreet whistleblowing channels exist as well. Kerry Bowman, a bioethicist at the University of Toronto, said Mello’s action shows how problematic a moratorium on embryo gene editing may be given that prominent scientists aren’t willing to take action on such a reckless act and clear ethical violation. It’s obviously important to cast light on individuals who have messed up and should have known better, but more importantly, the science community has to learn from this incident and forge a culture in which it’s not acceptable to remain silent.